On 7 March 2019, the Forth meeting of the Project Steering Committee (SCM) was held in the Hotel Yildiz. Among the SCM participants the EU Delegation in Astana was represented by Ms. Silvia Pietropaolo – Programme Manager for Turkmenistan and Regional Programmes and Ms. Zora Gonczarow – Finance, Contracts and Audit Manager. 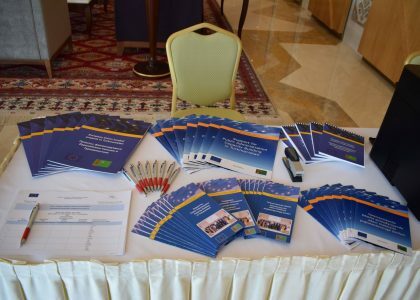 In the meeting the project activities implemented during the reporting period from 1 May 2018 to 31 October 2018 under the Project Component 1 and 2 as well as the activities planned for the next reporting period were presented by Mr. Folkert Milch, Team Leader of the EU funded project “Support for Public Administration Capacity Building in Turkmenistan”. 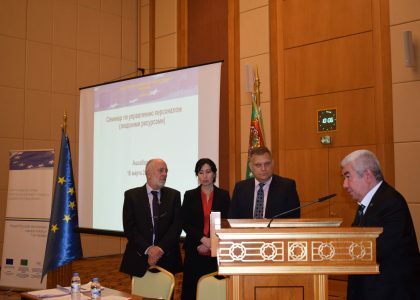 In relation to the Result 1.1 Training cycle management procedures improved and implemented: Training Needs Analyses (TNA) was conducted in the Academy of Civil Service under the President of Turkmenistan (AoCS) and in other three partner institutions. The TNA pilot test provided clear indicators for new curricula and courses that will be implemented in AoCS from autumn 2019 on. The AoCS web-site was developed by the project experts. It is functional and approved by AoCS management. The Project developed the content for the web-site. It is not online yet, since the approval process is ongoing. 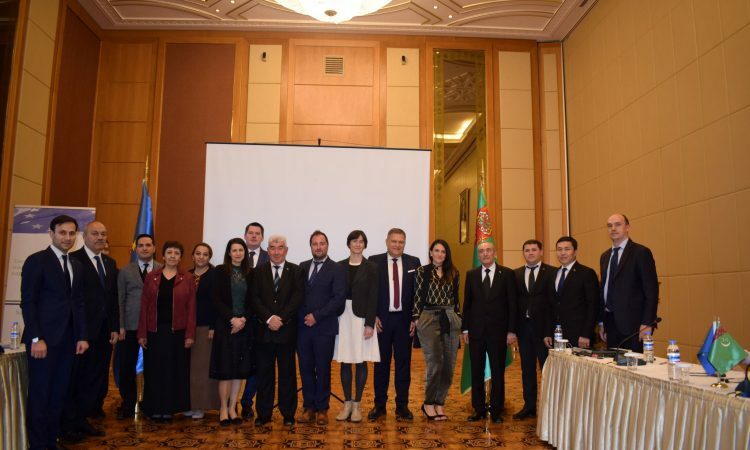 An international conference in Avaza was held in order to determine the structure and modules for the Masters Programme in Public Administration, with participation of high level government officials and Professors/experts from different European Universities and Kazakhstan. The structure of the Master´s Programme was presented, analysed and discussed. Working group on Master´s Programme consisting of lecturers and professors from AoSC and other governmental educational institutions and Universities was established. It is supposed that the WG will gather in regular timing in order to discuss the progress made and give directions. The Project Team visited the Academy for Public Administration under the President of the Republic of Kazakhstan, which resulted in establishment of AoCS partnership focusing on the development of the Master´s programme in public administration. Various meetings were conducted with the focus on Bologna process requirements for Master’s degrees and content of advanced courses in public administration. A needs assessment/benchmark study for the e-resource centre by an international IT expert was prepared. Comprehensive analysis of the AoCS’ and its customers’ needs in relation to the e-resource centre was done. 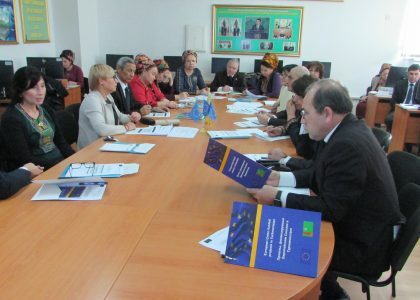 Recommendations in the development of an action plan of the e-resource centre was prepared. The document on classification including a register for civil servants was prepared and finalized during this reporting period. 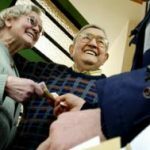 The proposal is sent to AoSC for further use. Objectives and aims for the next reporting period included: Training of trainer’s activities in relation to modern training methodologies; Recruitment of assistant teachers for the Academy in order to support the implementation of the Master´s Programme under the ‘Junior Professional Programme’ and to make achieved results sustainable; Setting up distance learning and e-resource center; A study visit on E-governance to Estonia; Further development of curricula for the Master’s programme and other courses; A workshop on the results of the development of the Master´s programme to be organized on 16 April 2019 in Astana with high level participation. The conclusion was that the Project made further progress in the implementation of all activities. 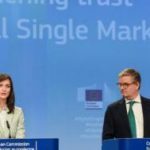 Cooperation with all project partners is at a good level and led to concrete results. It contributes a lot in achievement of the project objective to modernize, in line with international and European standards, the know-how and skills of the Turkmen Public Administration by building up the capacity of the institutions responsible for the training and professional development of civil servants.